The educational side to our business is wide and varied. We have structures in place to offer Continuing Professional Development (CPD) from an individual or organisational point of view. We can help you keep your skills and knowledge right up to date in your chosen sporting field, while the regular implementation of CPD will help you keep your skills and knowledge right up to date. 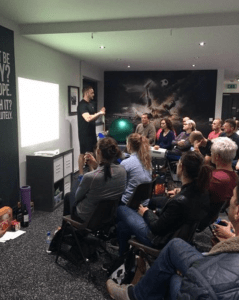 From an education perspective, we devise and host special evenings and in-house courses based on certain sports which can help guests learn more about their chosen field and give them tips on how to improve their performance and their ability to avoid injury. From ideas and lessons on running to courses on how to teach the correct use of sports tape, we offer a varied programme. You can keep up to date with our plans on our Twitter and Facebook pages. And the media services arm of our business will include a wide range of articles, blogs, ebooks and videos, in which we pass on our knowledge to website guests, subscribers and corporate members.